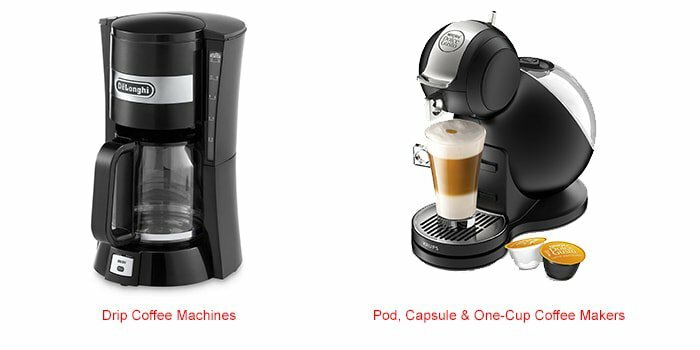 33 Coffee Makers – Free appliance repair help, parts and troubleshooting advice. Although all coffee boilers and coffee machines are intended for making coffee, they utilize utterly different operation concepts and produce different results. 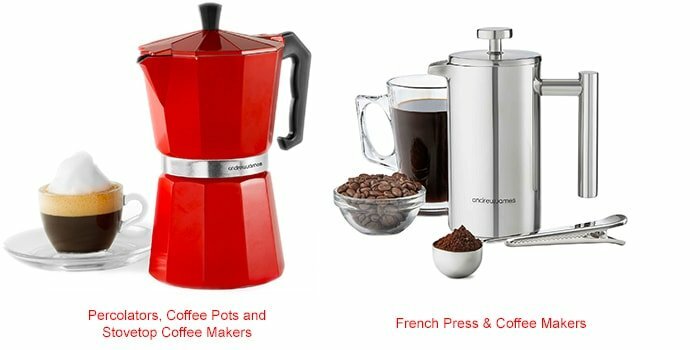 Electric drip coffee makers and Moka pots are simple and inexpensive, and they are great for those who drink a lot of mild coffee. If you choose a drip coffee maker, you can have an unlimited number of brewing cycles. If you use a Moka pot, you will have to wait until it cools down before relaunching it. Both categories have models with a delayed start, so you can load it up in the evening and set it up to start in the morning. There are automatic and semi-automatic espresso machines. They are intended for brewing Espresso coffee and other Espresso drinks. An espresso machine may feature a manual or automatic milk frother for brewing Cappuccino and Latte. There are several types of semi-automatic coffee machines: pump-driven, pod machines, and capsule coffee machines. Pump-driven machines utilize manual work to a great extent: the user chooses a coffee variety and grade, its amount per portion, and the type of pounding. Pod coffee machines do this work automatically. All the user needs to do is buy and load a coffee tablet. These machines are widely used by catering services because operating them is easier and less time-taking than handling pump-driven ones. The user enjoys speedy and convenient work. However, they tolerate a limited choice of varieties and blends and add a bit to the price of a portion. Handling capsule coffee machines is even easier. Ground coffee is confined in a capsule, which is placed into a machine. Once used, the capsule goes to the wastebasket. The price depends on workload capacity. Capsule coffee machines can be very cheap and even free, because the money for which users buy capsules, compensate for production expenses. Capsule coffee machines from major manufacturers require capsules of a particular type. Automatic espresso machines require just a press of a button, and the rest of the work is carried out automatically. They feature built-in coffee grinders and tons of settings and options. Such machines vary in types, ranging from cheap ones intended for home use to extortionate complex multipurpose devices. 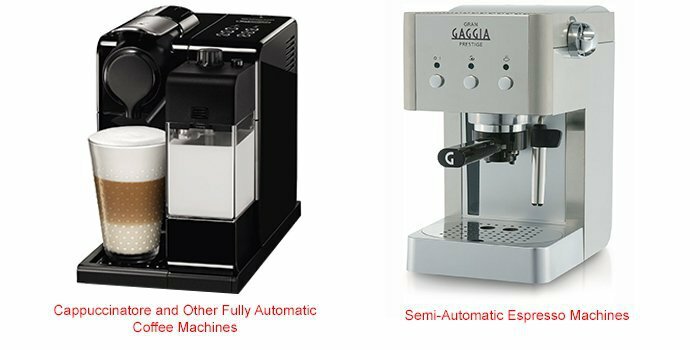 All types of espresso machines can provide a cup of strong, high-quality coffee; you just need to choose a convenient and reliable model. Other criteria include shape, brand, user-friendliness, and extra options. An expensive espresso machine will not necessarily please you with much better coffee than a medium-priced pump-driven machine. However, the former will grind it and provide a wide assortment of coffee-based drinks without any activity on your part. Our project should help buyers make a correct choice. It is not simply a list of technical characteristics that should determine your choice, but a thorough research on each model. 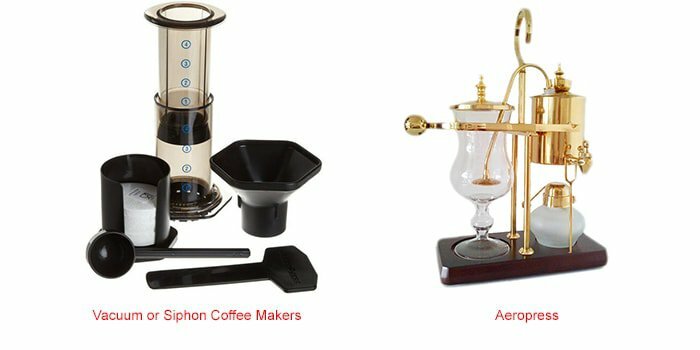 Here you can find all sorts of information about various coffeemakers of various modifications and brands. Also, we provide user manuals that will teach you how to provide proper maintenance, setting up, and care. If your machine fails, you can use a troubleshooting chart.